We are officially OPEN! River House is brand new in the heart of Broad Ripple located along the Monon Trail and the White River. If you’ve been to Broad Ripple lately, you can’t miss us. Looking for more information about your new neighbor? Read on to see some of the features we offer to our residents. Our new apartment homes feature granite counters, faux wood floors, new washer/dryers and stainless-steel appliances. Our oversized windows shine beautiful, natural light into our apartment homes and allow you to bring the outside, in. 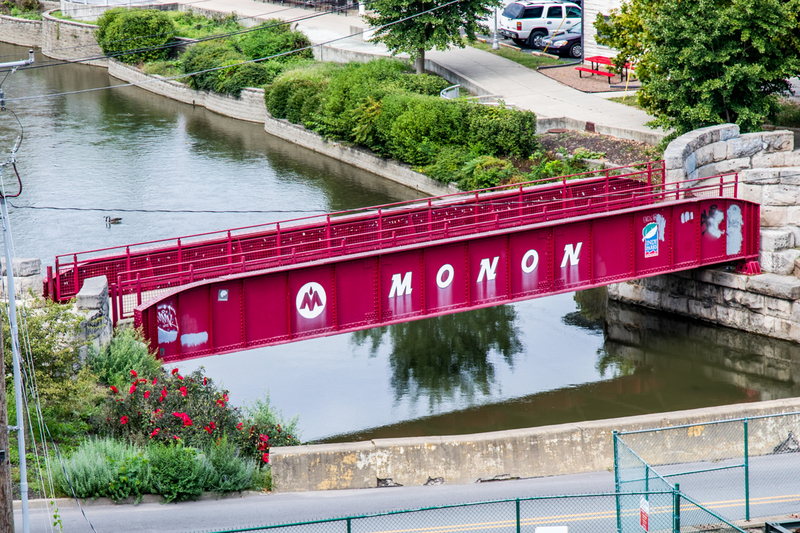 We offer spacious floor plans, large closets, and gorgeous views of Broad Ripple, the Monon Trail, and the White River. Our convenient location is in the middle of it all and offers stunning views of Broad Ripple Village. Our rooftop balcony is equipped with TVs, lounge chairs, and tables for socializing with a view. We offer 24-hour maintenance services, security controlled access, a fitness center with views of Broad Ripple, and are pet friendly! Worried about parking and hate relying on finding a street level spot? Lucky for you, we offer guaranteed garage parking for $100 per month. If we’ve piqued your interest, why not check us out for yourself? We offer 3D walking tours online or you can schedule a tour today. Check out our office hours to stop by or give us a call any time.